Buying Mercedes-Benz used to be for the affluent, buying AMG versions of those cars were for the very affluent. Times have changed however, with the introduction of vehicles like the A-Class, B-Class, and other lower priced vehicles. 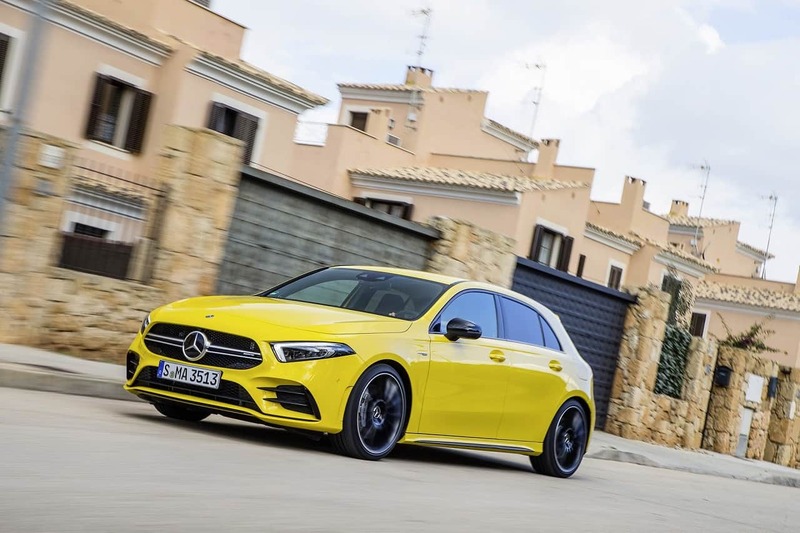 The most affordable AMG car one can now buy is the 2019 Mercedes AMG A35, we don’t know the exact pricing yet, but it will be the cheapest AMG you can buy. 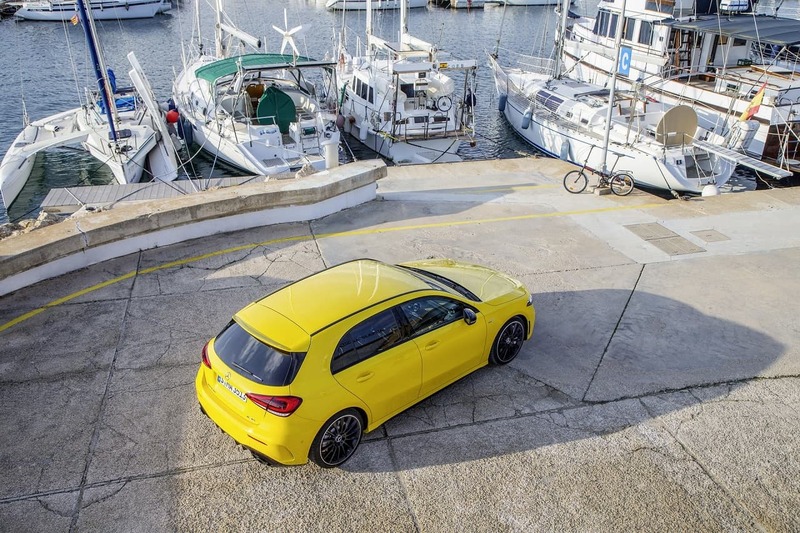 Like most AMG vehicles, the A35 AMG is based on a regular A-Class, but with more power, better handling, and more style. 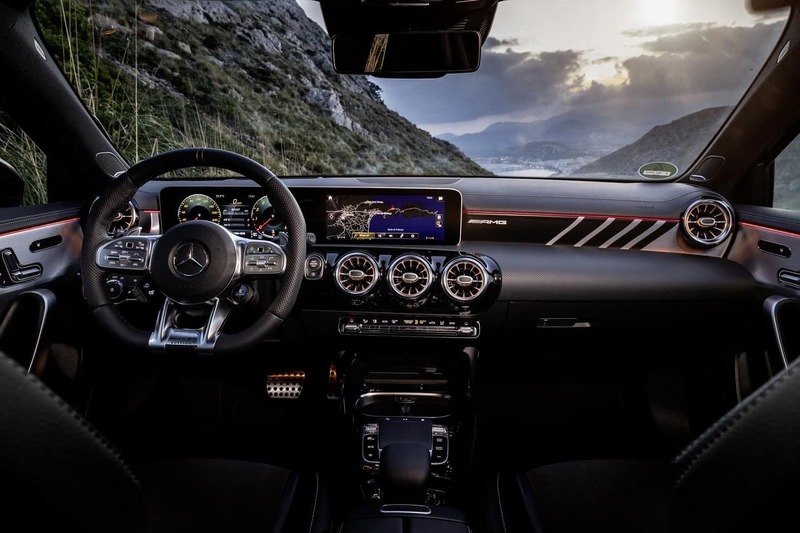 The A35 AMG is powered by turbocharged 2.0 liter gasoline engine, producing 301 horsepower and 295 pound-feet of torque, mated to a 7-speed automatic transmission. The claimed 0 – 100 km/h (0 – 62 mph) is 4.7 seconds with an electronically limited top speed of 250 km/h (155 mph). 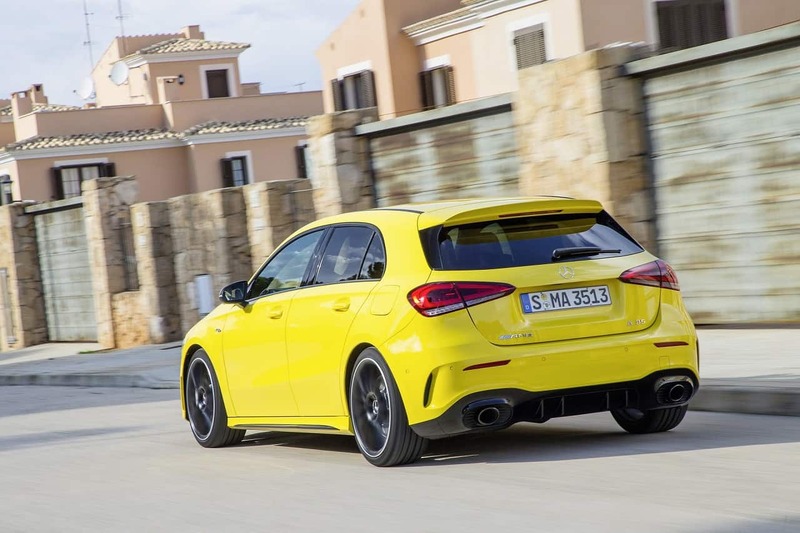 It’s a properly fast hot hatch, competing against cars like the Audi S3 and Volkswagen Golf R.
The Mercedes AMG A35 comes upgraded chassis and a stiffer body, adaptive suspension, and bigger brakes. The A35 will also come with an aero kit, that not only makes the A35 look more aggressive, but also improves high speed stability.